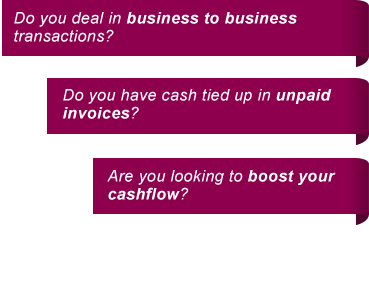 For firms that have short-term cash flow problems, invoice factoring is a fantastic solution. Raising money against the invoices you issue to customers is an easy way to borrow money. It is a very fast way to raise cash. However, that does not mean that it is right for every firm or right for every situation. Here we consider some of the main disadvantages of factoring, as well as ways to get around those potential issues. The way traditional invoice factoring works is that you decide to borrow against an invoice and approach a factoring company. This company tells you how much they will lend against that particular invoice. When that invoice is sent to the customer, a notification is sent with it that explains that the money for that particular invoice is owed to the factoring company. This notice could potentially flag up to that particular customer the fact that you are borrowing money. This is something you may not want them to know. However, if you want to avoid this potential issue it is possible to use a service called confidential invoice factoring. Your customers will still be notified that the debt attached to that particular invoice is no longer yours but they will not be told that the debt is owed to a factoring company. Instead, they will simply know that you are using a third party service to issue and collect on your invoices. That way, your customer’s perception of your firm should not change in any way. The fact that a third party will be collecting the debt owed on that invoice can also potentially change the relationship you have with your customers. In some sectors, especially the service industries, the relationship between customer and supplier has a personal element to it. The choice of which provider to use is often based on which one offers the most comfort and confidence. As a result, the client may not appreciate having to deal with someone else, even if it is only for something small like paying their invoices. In this situation, it may be wise to use invoice discounting. With this form of borrowing, you retain the responsibility for collecting payment. There is no third party involved in your relationship with the customer. Invoice factoring isn’t necessarily an expensive way of borrowing money. If you use it on invoices, you raise against customers who pay their bills on time and will know the cost up front. However, with a customer who has a tendency to pay late, the cost of the loan can grow. Most invoice factoring contracts charge interest for each month the loan goes unpaid. Invoice factoring is an extremely good way to borrow money. However, it is important to weigh up the pros and cons. Use this way of borrowing money, but try to use it strategically. At Invoice Finance Scotland, we know that invoice factoring is not right in every situation, which is why we offer a range of other ways for firms to borrow the cash they need.